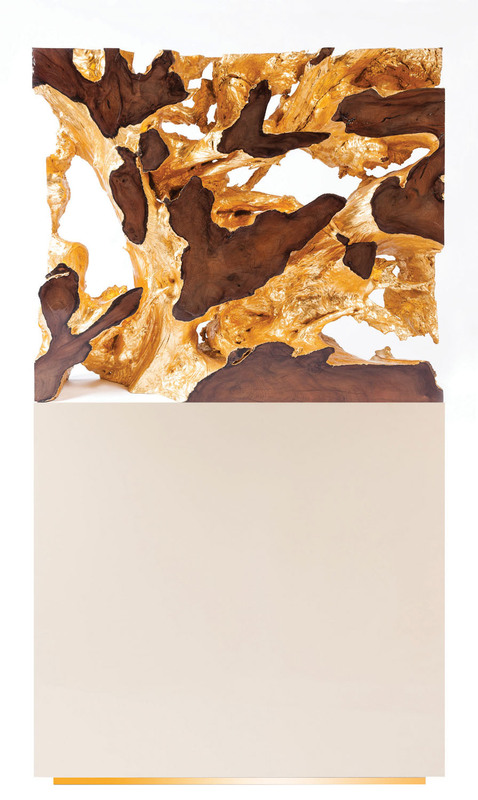 Daniel Fine Art collaborates with both artists and designers to develop original concepts for site specific locations. The examples below display just a few of our fostered projects, from inception to production. 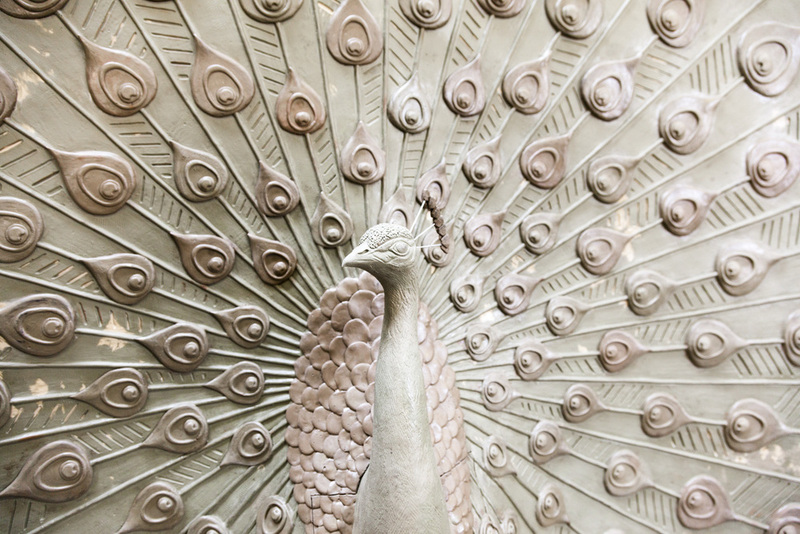 This six foot tall clay sculpted and lost-wax cast bronze peacock is just one example of our dedication to quality and commitment to both the artist and client, closely nurturing the process the whole way. This project was specifically created for new construction in Macau, China at the Wynn Palace Cotai opening 2016. 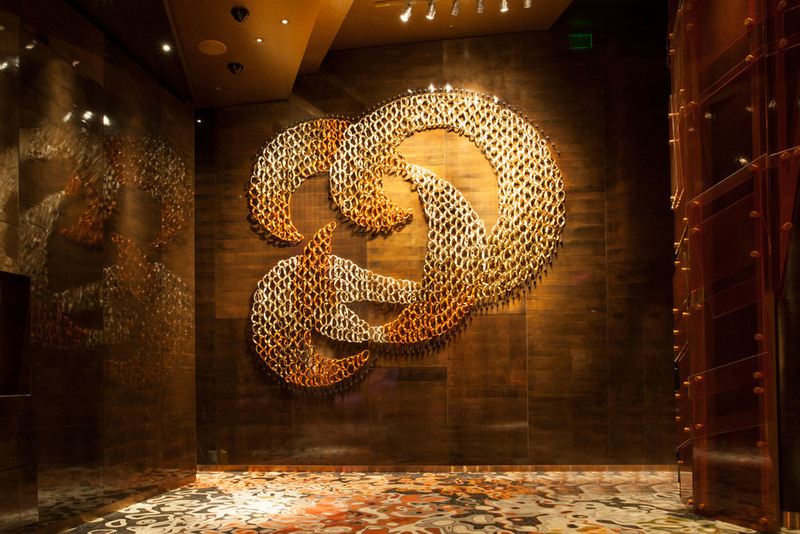 This hanging wall sculpture was commissioned for the High Limit gaming room at the Aria Resort and Casino in Las Vegas, Nevada. 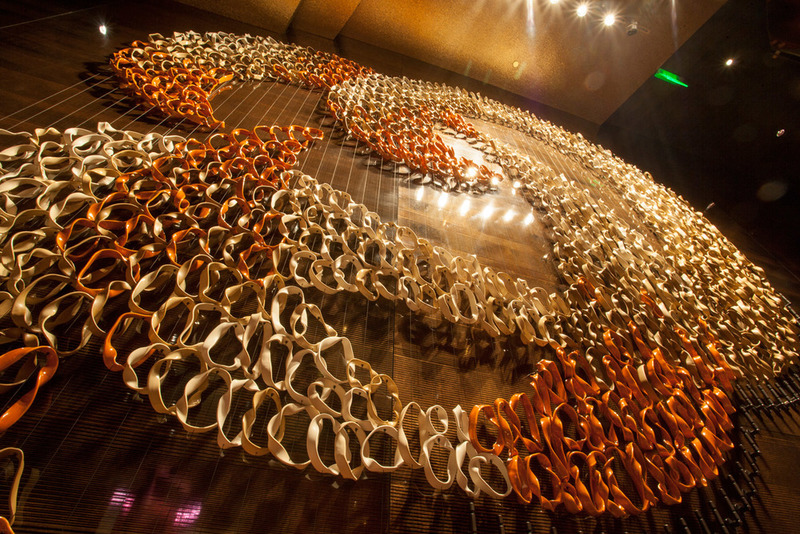 It is comprised of 1200 glazed ceramic rings which have been arranged and strung together across 59 vertical strands of wire to create the composition. 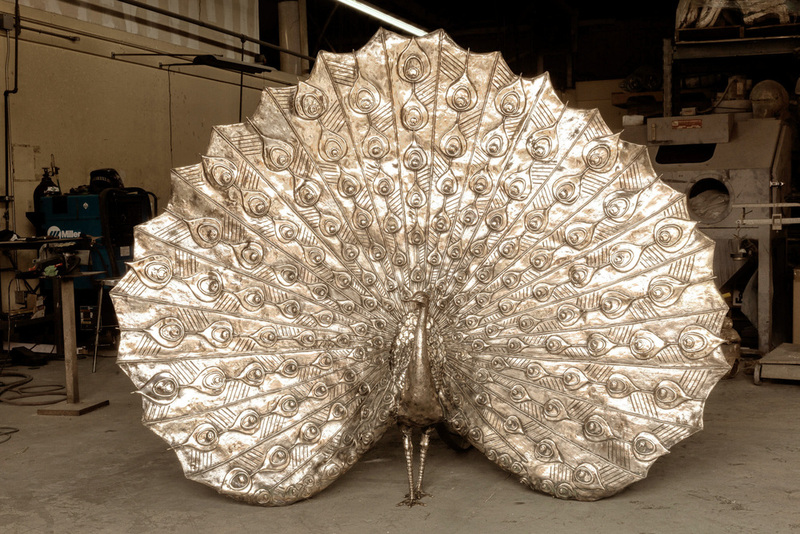 It measures approximately 15 feet across. 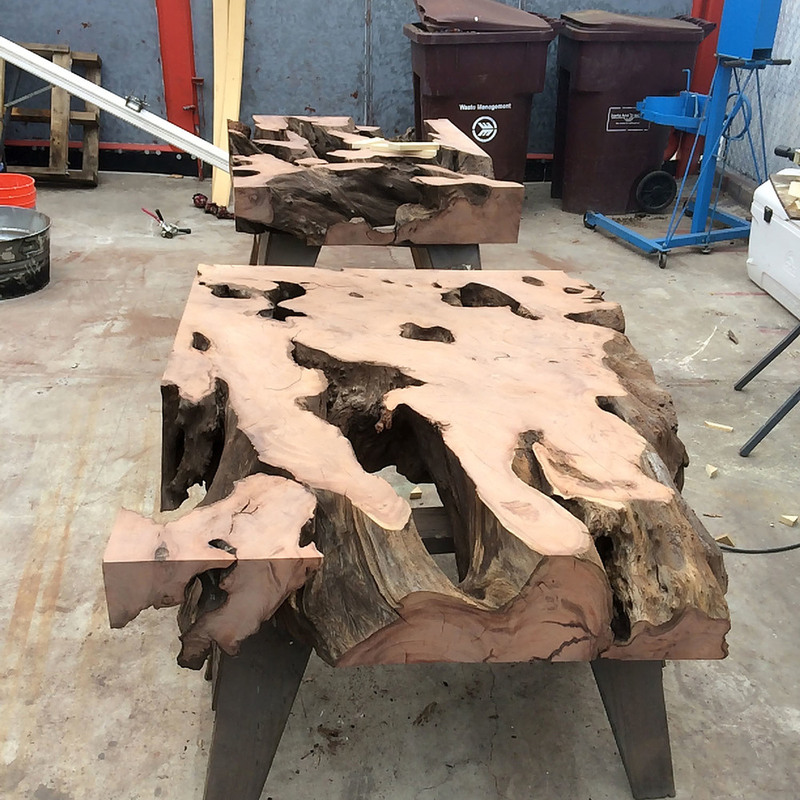 Commissioned by Daniel Fine Art Services, these 50" by 50" cross-sections (4 total) have been cut from the root system of a Redwood tree. 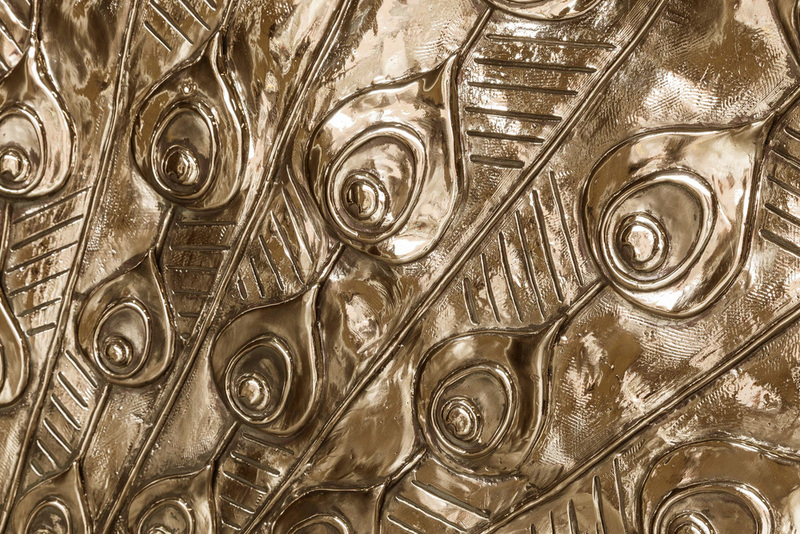 They were then sanded, gilded, and exposed sections polished to a high gloss to achieve the finished look seen below. 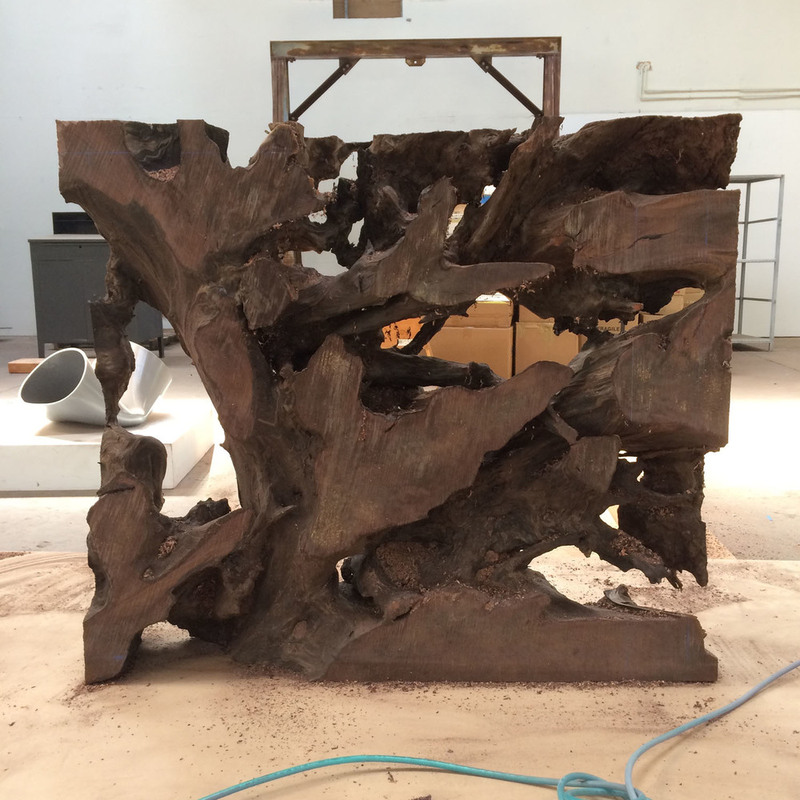 The final installed pieces are set atop custom-made pedestals designed to sit completely flush with the sculpture above. 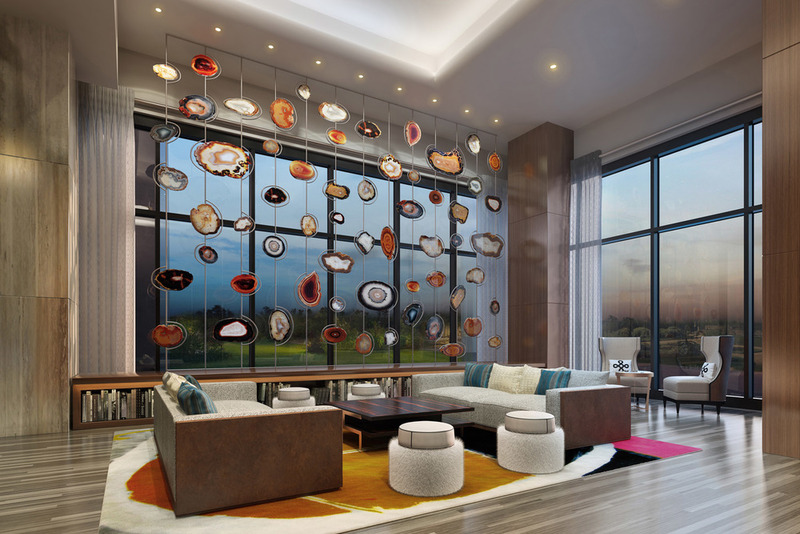 This sliced agate and metal sample was created to represent the rendered design for this public area project. 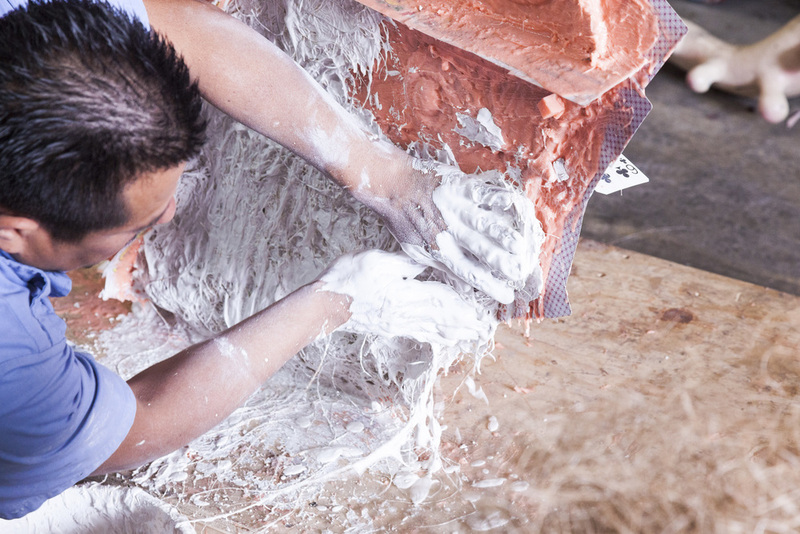 Though it never was fully produced, it serves as an excellent example of how we are able to facilitate original concepts and fulfill the needs of unique spaces with equally special art and designs.